Intro: Welcome back to Friday Beer Blogs! To coax out the ever elusive weekend, we’re sipping a beer from that state that only thinks they look like a mitten (I think Michigan pretty much has that one in the bag, sorry). 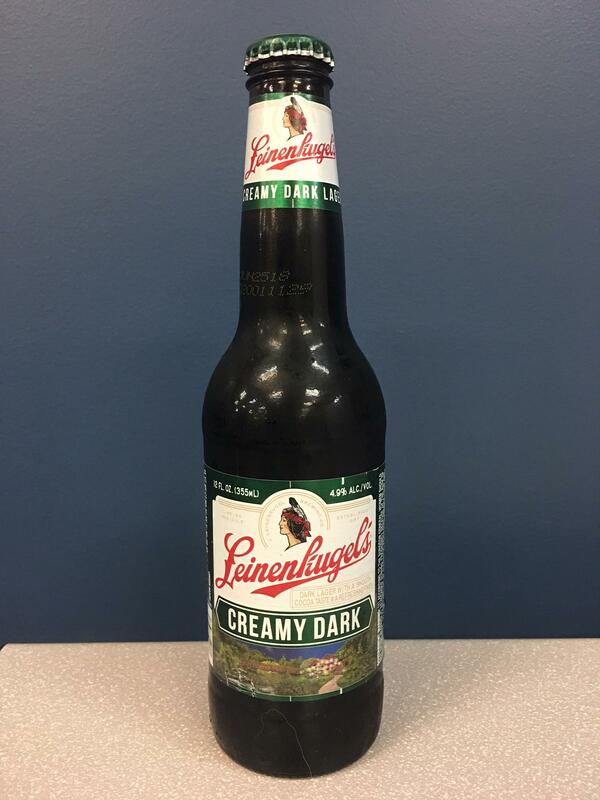 This week we’re enjoying a Wisconsin classic, no not cheese, Leinenkugel’s Creamy Dark Lager. https://workboxstaffing.com/wp-content/uploads/2018/10/WBX_Logo_RGB.png 0 0 CurlyHost https://workboxstaffing.com/wp-content/uploads/2018/10/WBX_Logo_RGB.png CurlyHost2018-08-03 14:33:062018-08-03 14:33:06"Friday Beer Blogs: Leinenkugel's Creamy Dark"
Intro: Cheers to the weekend! It’s Friday Beer Blogs! We figured we couldn’t go wrong with a beer brewed in the same city where Twinkies were invented, so this week we’re drinkin’ a Chicago classic, Goose Island’s 312 Urban Wheat Ale. https://workboxstaffing.com/wp-content/uploads/2018/10/WBX_Logo_RGB.png 0 0 CurlyHost https://workboxstaffing.com/wp-content/uploads/2018/10/WBX_Logo_RGB.png CurlyHost2018-07-20 14:40:202018-07-20 14:40:20"Friday Beer Blogs: Goose Island 312 Urban Wheat Ale"
Intro: It’s Friday so that means we are kicking off the weekend with Friday Beer Blog! This week we are sipping on a brew as golden as the city it hails < g class="gr_ gr_37 gr-alert gr_gramm gr_inline_cards gr_run_anim Punctuation only-del replaceWithoutSep" id="37" data-gr-id="37">from:< /g> Golden, Colorado. Grab a glass and join us as we offer our opinions on Blue Moon’s Summer Honey Wheat. https://workboxstaffing.com/wp-content/uploads/2018/10/WBX_Logo_RGB.png 0 0 CurlyHost https://workboxstaffing.com/wp-content/uploads/2018/10/WBX_Logo_RGB.png CurlyHost2018-07-13 11:45:382018-07-13 11:45:38"Friday Beer Blogs: Blue Moon Summer Honey Wheat"
Intro: Friday Beer Blogs is back! This week we are trying our best to get back into the swing of things after a holiday mid-week (seriously, why don’t we have the rest of the week off? It was America’s birthday for freedom’s sake!). To welcome the unofficial second half of summer, we poured ourselves a nice cold glass of New Belgium’s Tartastic Strawberry Lemon Ale. https://workboxstaffing.com/wp-content/uploads/2018/10/WBX_Logo_RGB.png 0 0 CurlyHost https://workboxstaffing.com/wp-content/uploads/2018/10/WBX_Logo_RGB.png CurlyHost2018-07-06 11:53:272018-07-06 11:53:27"Friday Beers: New Belgium Strawberry Lemon Ale"
Intro: Welcome to week twelve of Friday Beer Blogs. We tried to be fancy and go international with our brew this week. This week’s beer comes from Spain and it didn’t take the Spanish Inquisition to get our views on it. https://workboxstaffing.com/wp-content/uploads/2018/10/WBX_Logo_RGB.png 0 0 CurlyHost https://workboxstaffing.com/wp-content/uploads/2018/10/WBX_Logo_RGB.png CurlyHost2018-06-08 11:57:352018-06-08 11:57:35"Friday Beers: Estrella Damm"
Intro: Friday Beer Blogs is back at it with our eleventh drink! This week we’re cracking open a cold one from the home state of Bob Saget and our nation’s fifteenth president, James Buchanan: Pennsylvania. So grab a glass with us as we sip on Victory Brewing’s Sour Monkey. https://workboxstaffing.com/wp-content/uploads/2018/10/WBX_Logo_RGB.png 0 0 CurlyHost https://workboxstaffing.com/wp-content/uploads/2018/10/WBX_Logo_RGB.png CurlyHost2018-06-01 13:55:352018-06-01 13:55:35"Friday Beers: Sour Monkey"
Intro: Friday Beers is back with its monumental tenth brew and this week we are trading the “Fresh Coast” for the East Coast. For our tenth drink, we uncapped Dogfish Head Brewery’s Dragons and YumYums. https://workboxstaffing.com/wp-content/uploads/2018/10/WBX_Logo_RGB.png 0 0 CurlyHost https://workboxstaffing.com/wp-content/uploads/2018/10/WBX_Logo_RGB.png CurlyHost2018-05-25 09:50:512018-05-25 09:50:51"Friday Beers: Dragons & YumYums"
Welcome to Friday Beers Blog #9! This is the ninth brew in our blog series. While we don’t want to jinx the summer or anything, today we are taking a look at New Holland’s Cabin Fever Brown Ale. https://workboxstaffing.com/wp-content/uploads/2018/10/WBX_Logo_RGB.png 0 0 CurlyHost https://workboxstaffing.com/wp-content/uploads/2018/10/WBX_Logo_RGB.png CurlyHost2018-05-18 17:10:572018-05-18 17:10:57"Friday Beers: New Holland's Cabin Fever"
It’s Friday Beer Blog’s sixth drink! 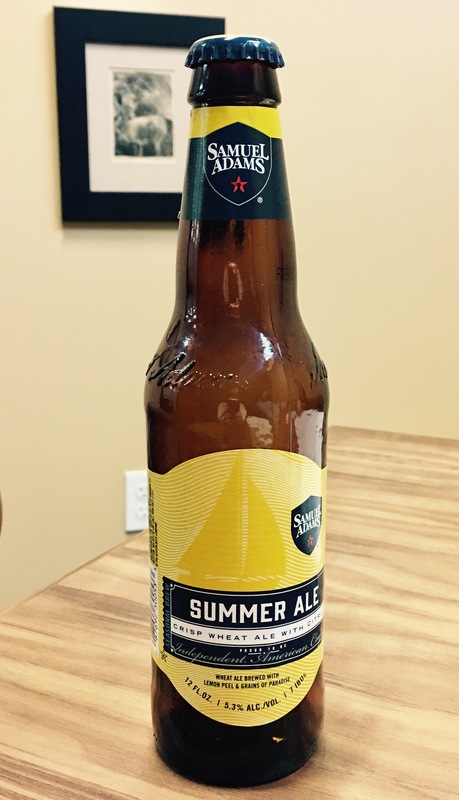 In the latest installment of this weekly blog series, we will be taking a look at Samuel Adams Summer Ale. So sit back and let this beer be your inspiration for summer days ahead. https://workboxstaffing.com/wp-content/uploads/2018/10/WBX_Logo_RGB.png 0 0 CurlyHost https://workboxstaffing.com/wp-content/uploads/2018/10/WBX_Logo_RGB.png CurlyHost2018-04-27 15:01:302018-04-27 15:01:30"Friday Beers: Samuel Adams Summer Ale"
Welcome to Friday Beers Blog #3! This is our third blog in this series, which we created to share our down to earth philosophy with you. 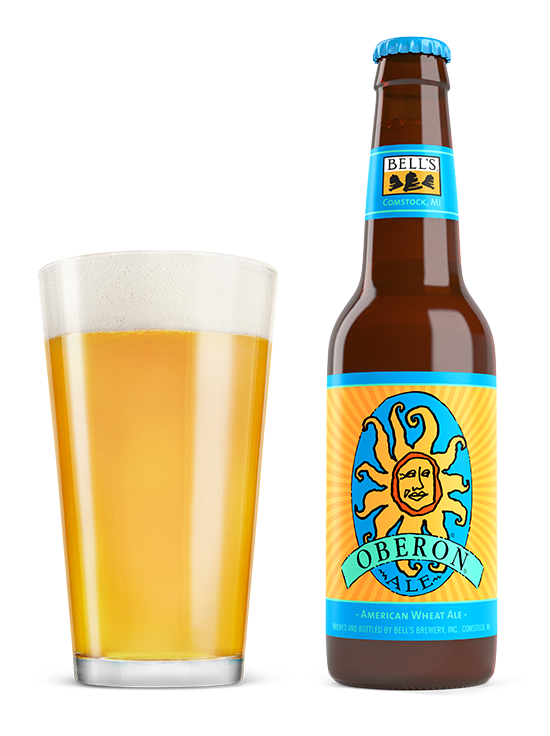 We didn’t want to stay too Michigan-centric with our series, but today we felt the need to highlight two Michigan beers whose release is something of a holiday for us Michiganders: Bell’s Oberon Ale and Founder’s Kentucky Breakfast Stout. https://workboxstaffing.com/wp-content/uploads/2018/10/WBX_Logo_RGB.png 0 0 CurlyHost https://workboxstaffing.com/wp-content/uploads/2018/10/WBX_Logo_RGB.png CurlyHost2018-04-06 17:04:532018-04-06 17:04:53"Friday beers: Bell's Oberon Ale & Founder's KBS"